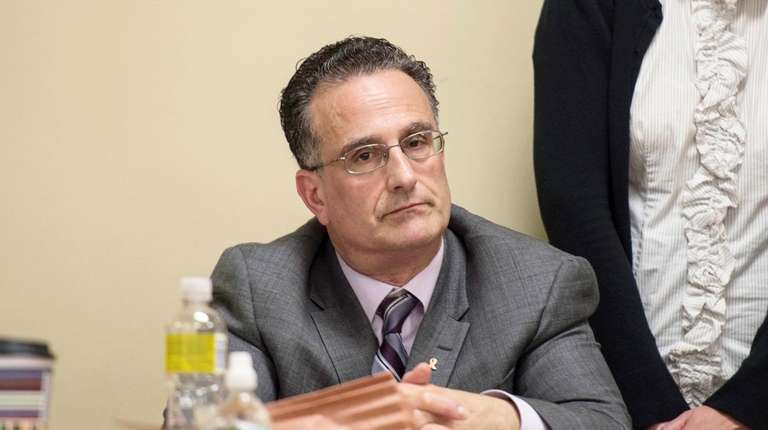 Kevin Keating, in continuing his cross-examination of William Savino, an attorney at the law firm Rivkin Radler — where Keating’s client, former Nassau County Executive Edward Mangano once worked — asked about Savino’s relationship with several elected officials. At one point, he asked Savino about John Venditto, the former Oyster Bay Town supervisor who was acquitted of all charges during the first trial. During the first trial — and in papers filed before the start of the retrial — Keating suggested that notes Savino made could have come from a conversation he had with someone other than Mangano. In the first trial, Keating suggested Savino could have been speaking with Leonard Genova, Oyster Bay’s former town attorney and deputy town supervisor, instead. 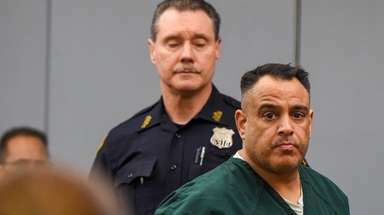 On Wednesday, Savino repeated — as he did during the first trial — that he believed notes he took of a phone conversation about arranging Oyster Bay Town-backed loans for businessman Harendra Singh were from a conversation with Mangano. Frederick Mei, a former deputy Oyster Bay Town attorney who testified during the first trial, has not been called this time around. But that doesn’t mean jurors are not hearing his name. Mei pleaded guilty to accepting bribes and is awaiting sentencing. On Wednesday, his name came up, once again, in a series of emails both sides used as exhibits. At one point, the court reporter asked about a misspelling in an exhibit. “Do I use the “May” in the documents?” he asked. “It’s M-E-I,” the judge answered. 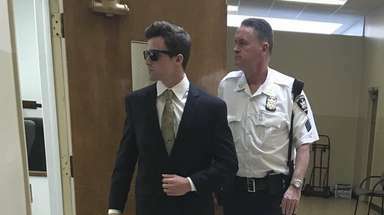 “We are almost done, sir,” Keating told Savino at one point Wednesday morning. After more questions, Keating told Savino that he had only a couple of questions left. “You have said that, like, four times,” Savino said, as the courtroom broke into laughter. “Sorry, judge, sorry,” Savino said. And the jury, once more, broke into laughter. “I’ve done the same thing Mr. Keating has,” Savino said. “I’m sure you have,” U.S. District Court Judge Joan Azrack said. “Do you agree with me that good lawyers sometimes lose motions?” Keating asked. The room again broke into laughter. Keating, again, was not amused. Leonard Genova, who is testifying under a grant of immunity, was the day’s second witness. In introducing himself, under questioning from Assistant U.S. Attorney Lara Treinis Gatz, he told jurors about his career, and about how he functioned as the town’s deputy supervisor and town attorney — at the same time. “Was there a reason for that?” Treinis Gatz asked. Several minutes later, however, Genova would be telling jurors about his decision to call the U.S. Attorney’s Office in 2015. “I knew my career was in a shambles,” he said. 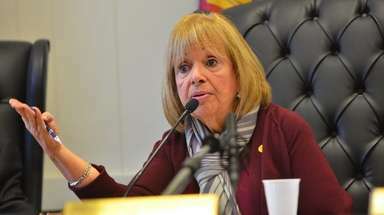 Treinis Gatz, in leading Genova through all things Oyster Bay, at one point spurred Keating to rise for an objection. “I was waiting,” Azrack said, before sustaining Keating’s objection. She made the request of both Treinis Gatz and Genova — both whom speak rapidly enough to make note-taking a challenge. And across the room from the witness stand, one juror gave Azrack’s request a thumbs-up. Jurors got a lesson in Oyster Bay geography, governance and politics as Treinis Gatz had Genova break things down. During the last trial, Genova testified that Edward Mangano had attended a meeting with Venditto and other officials about getting Singh help for his loans. And he also testified that Mangano had talked to Venditto about the subject. During Wednesday’s testimony, however, Genova attempted to tie Mangano more firmly to Oyster Bay’s efforts to help Singh, speaking at one point about “multiple conversations” between Venditto and Mangano about “getting it done” for the former restaurateur. “Politics is a game of favors,” Genova testified. 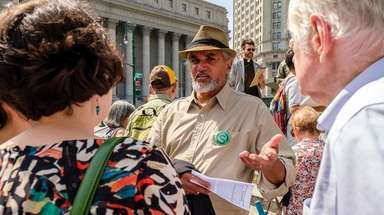 Why did Venditto want to help Singh? Later, Genova described for jurors a conversation he overheard wherein Venditto and Mangano — after the April 2010 meeting on Singh’s loans — were talking about potential hires and promotions for members of the local Republican Club. “It was obviously an opportune time for John Venditto to ask Edward Mangano for things that were important to him,” Genova said. Keating, in his cross of Genova, asked at one point about bids for town business that were “rigged” for Singh. “I don’t know if I would use that term,” Genova said. “It is just a different term that was used,” Genova said. “Al D’Amato was a lobbyist,” Keating said, for a megamall that at one time had been proposed for the old Cerro Wire property. The lawyer used the project to solicit testimony from Genova on Venditto’s political popularity — and fortitude — in standing up for the wishes of town residents. The megamall was supported by unions, Genova said. And by D’Amato, Keating said. “I think it is,” Genova said — from a witness stand on the ninth floor of the Alfonse M. D’Amato federal courthouse in Central Islip. Genova said, no, he hadn’t heard that one. 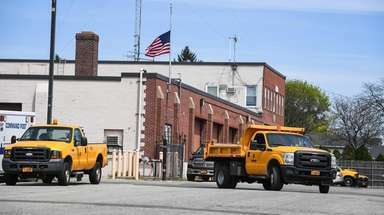 “Al D’Amato wanted the town to approve . . . [the] mall?” Keating asked. “John Venditto stood up to Al D’Amato,” Keating said, before reading a portion of a statement he said Genova made earlier to the government. “John Venditto said no” to the megamall project, Keating repeated a few minutes later.